Every year, from April onwards, I listen for the distinctive call of the cuckoo when I’m out on my walk, and yesterday, I was not disappointed. It’s a little later than I’ve heard it in some years, when the spring weather has been warmer and the prevailing winds are more favourable. 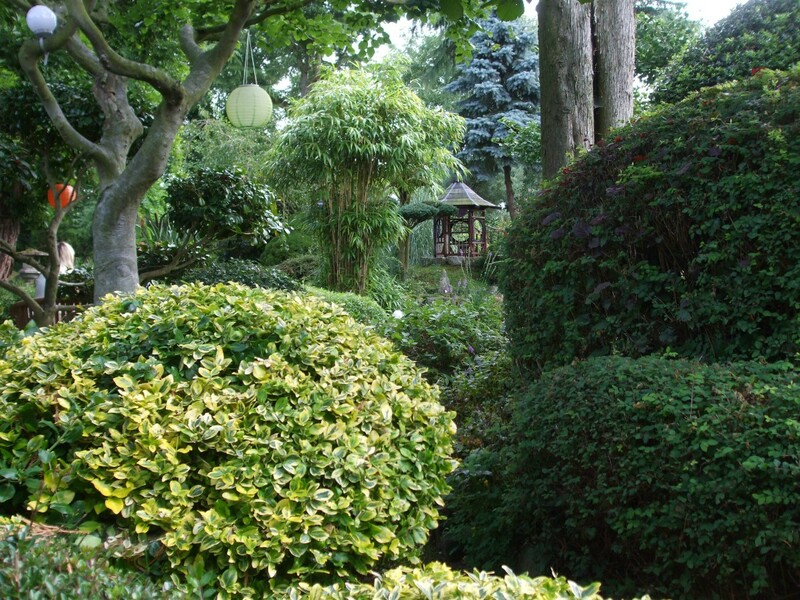 In 2012, I heard the first cuckoo in March – but that was an unusually warm spring. This year we’ve had some very cold, northerly winds which would not be at all favourable for migratory flights from Africa to Europe. I find the cuckoo, and its habits, quite fascinating, and decided to look up a few facts about the bird to share on my blog. 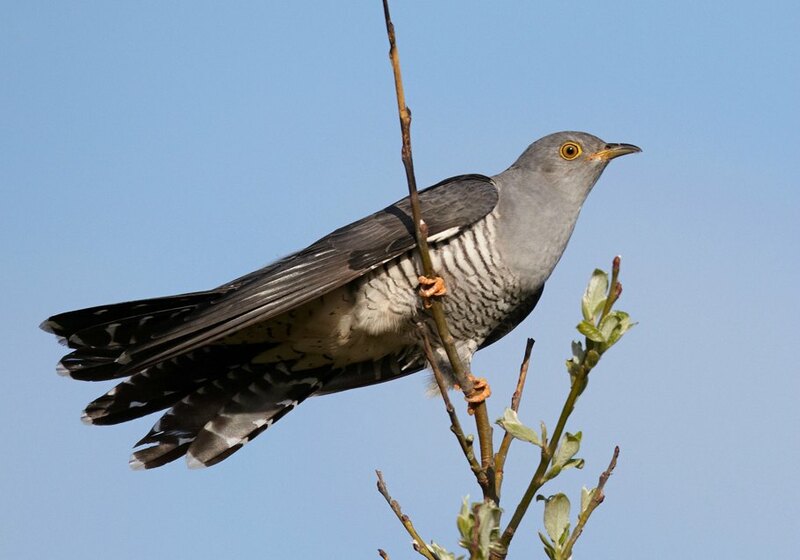 The male’s song, goo-ko/cuckoo is usually given from an open perch, often at the top of a tree on the edge of woodland, although cuckoos can often be heard/seen in grassland and reed beds. During the breeding season the call can generally be heard in groups of 10–20 with a rest of only a few seconds between. The first note is higher than the second, as can be heard in the video. 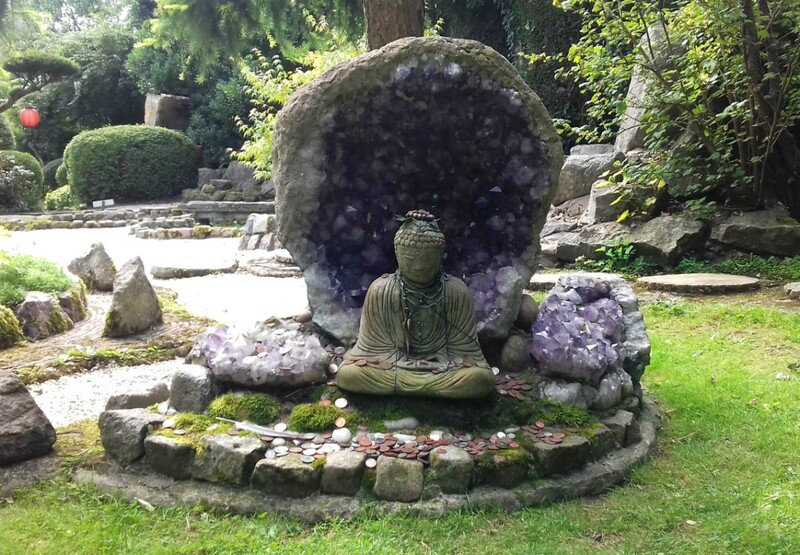 (The female call is quite different – more of a loud bubbling sound.) If you hear a cuckoo singing you will probably not see it until it stops, which is when it flies away from its song post. The adult males have bluish-grey upper parts and a white belly with dark, horizontal barring. Females have two forms. One is similar to the male but the breast is light brown with dark barring and the other is reddish brown, and often covered with dark bars. 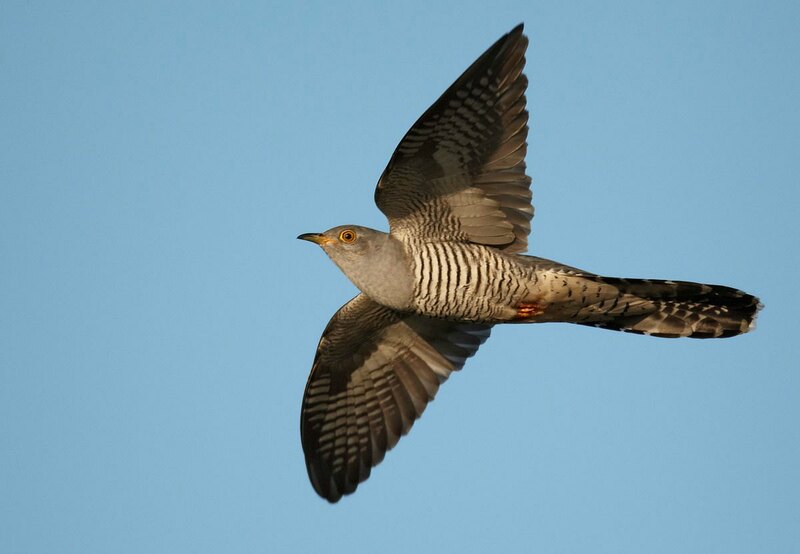 In flight, the cuckoo can be mistaken for the kestrel or sparrowhawk because of its long tail and swept back wings, although the sparrowhawk does not have pointed wings. 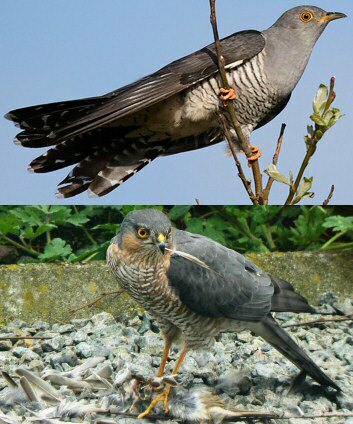 Images of a European cuckoo (top) and a sparrowhawk showing the extent of mimicry. Author: Chiswick Chap. Creative Commons. Other than its distinctive call, the cuckoo is perhaps best known for its breeding habits! It is known as a brood parasite – the only one to breed in Britain. This means that females lay their eggs in the nests of other birds, known as foster species. Certain foster species are preferred, including dunnocks, meadow pipits, reed warblers and robins in Britain, although many more host species have been identified in cuckoo breeding areas. Each female specialises in using a particular host species and will establish a territory in which there are a number of potential foster nests. She will carefully observe activity and wait until the nests are at the right stage. Then she swoops down, ejecting an egg of the host bird and laying one of her own that mimics the markings of those of the host bird’s eggs. 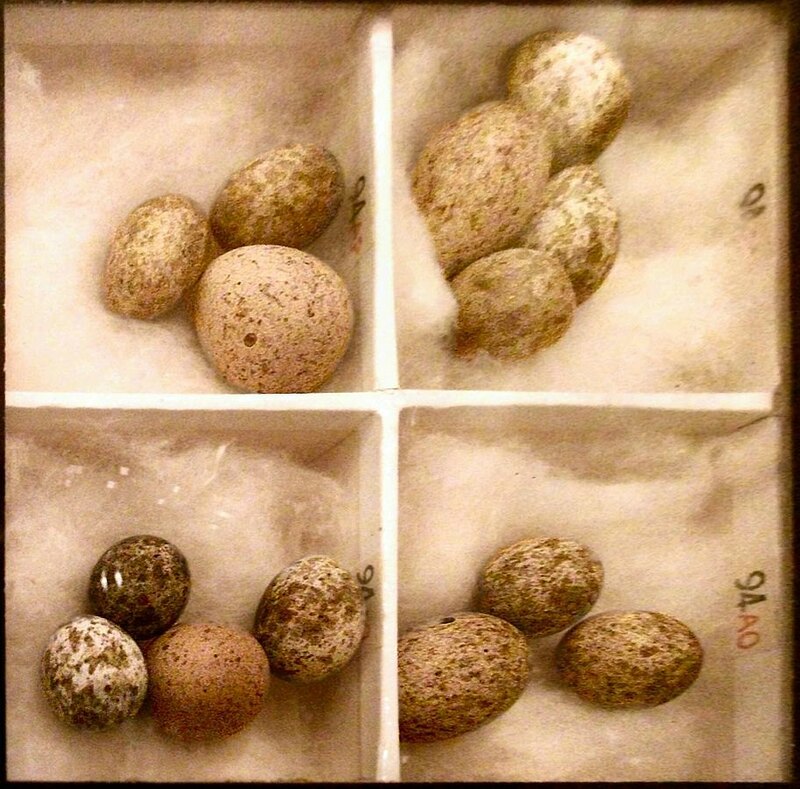 Four clutches of reed warbler eggs, each with one (larger) cuckoo egg. 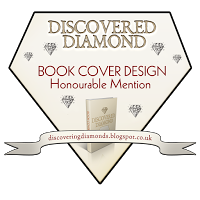 Author: Chiswick Chap. Creative Commons. The female is helped in this dastardly deed by her mate who, readily jumps into his role of mimicking a sparrowhawk. His appearance close to the nest is enough to distract the small birds long enough for the female to hop in and deposit her egg. The host bird, knowing nothing of this, will incubate and feed the impostor. 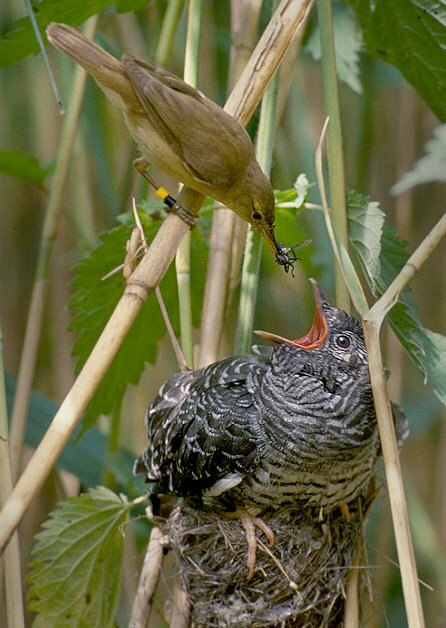 Reed warbler feeding a common cuckoo chick in nest (brood parasitism). Author: Per Harald Oisen. Creative Commons. 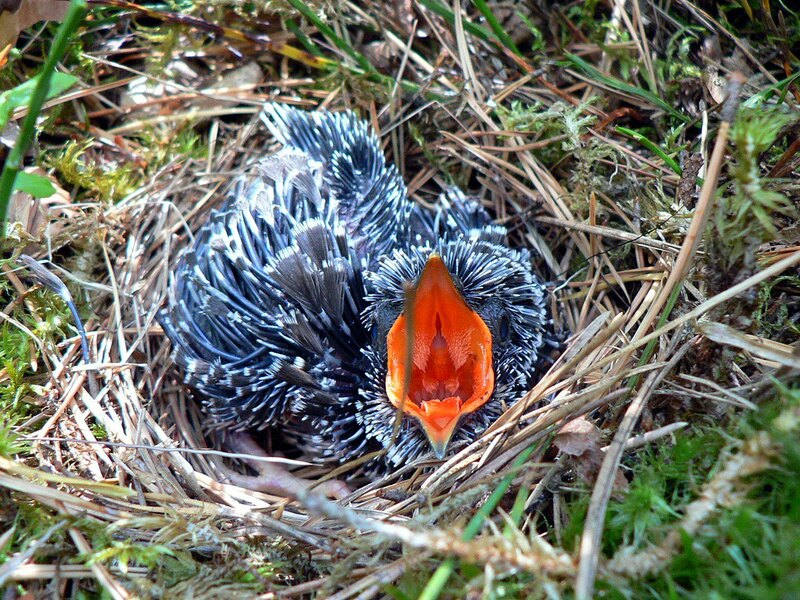 Once hatched the cuckoo chick instinctively pushes all other eggs and chicks out of the nest, and continues to thrive. It often grows to be far bigger than its ‘adoptive’ parents. As a brood parasite, the cuckoo has become a symbol of infidelity and selfishness. A ‘cuckoo in the nest’ can refer to an unwelcome intruder in a place or situation – or something that grows quickly. In the novel, Wuthering Heights, Heathcliff is introduced by Nelly as a cuckoo’s story – which anyone who has read the book will understand. The word cuckoo is also sometimes used, informally, to describe a mad or psychotic person. The cuckoo’s behaviour does little to endear it to us – our sympathy goes out to the poor little reed warblers, dunnocks and other birds who lose entire clutches because of it. But as they say, that’s life – and I still like to hear my first cuckoo of the year. Its call really is ‘the harbinger of spring’.